The Aller River Pilot Project Phase 2 (ARPP2) was funded by the Arts and Humanities Research Council (AHRC) through a project called Healthy Waterways: connecting communities locally and globally. The fieldwork and liaison between participants in the project was carried out by Dr Elsa Lee with David Whitley offering guidance as principal Investigator. It was based at the Faculty of Education, University of Cambridge. This initiative aimed both to support the vital, innovative work already undertaken by the ongoing Aller River Pilot Project in South Africa, and to enhance this by using knowledge generated by another AHRC project we had been involved with: Pathways to Understanding the Changing Climate: time and place in cultural learning about the environment (The AHRC Pathways Project). The Pathways Project focused on how communities (particularly children) in different parts of the globe understood both their connection to the local environment and their vulnerability to changes generated by wider forces, such as climate change. The knowledge that we drew on from the Pathways Project related to how agency and environmental vulnerability were perceived in different regions. We also drew on methods of walking ethnographies and intercultural interchanges developed in the Pathways Project. Healthy Waterways aimed to consolidate and develop the emerging connections between the ARPP and the local community. 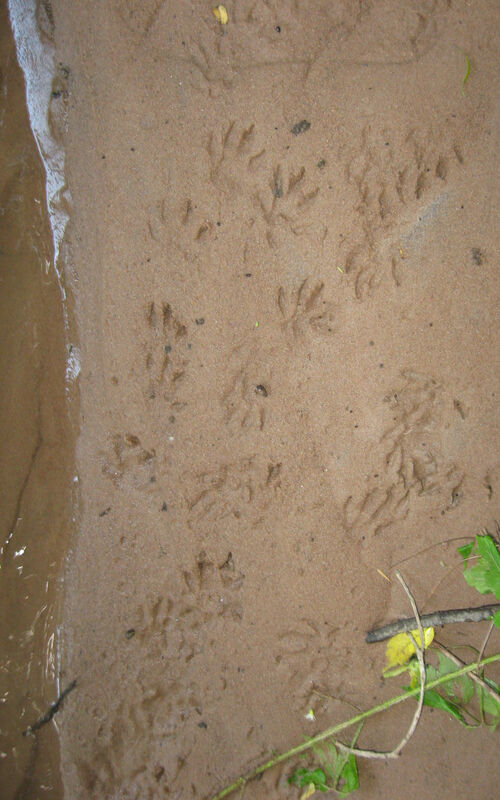 This was achieved through using techniques of walking ethnography and door-to-door surveys in the communities that had grown up alongside the Aller River to garner a deeper understanding of barriers to behaviour change which were hampering efforts to clean up the waterway. In the process, we were trying to support the Eco-Champ team in their efforts to engage their own communities in regenerating the river environment. This focus enhanced the work done in the first phase of the Aller River Pilot Project where walks for awareness raising with children and local community members had already been undertaken. 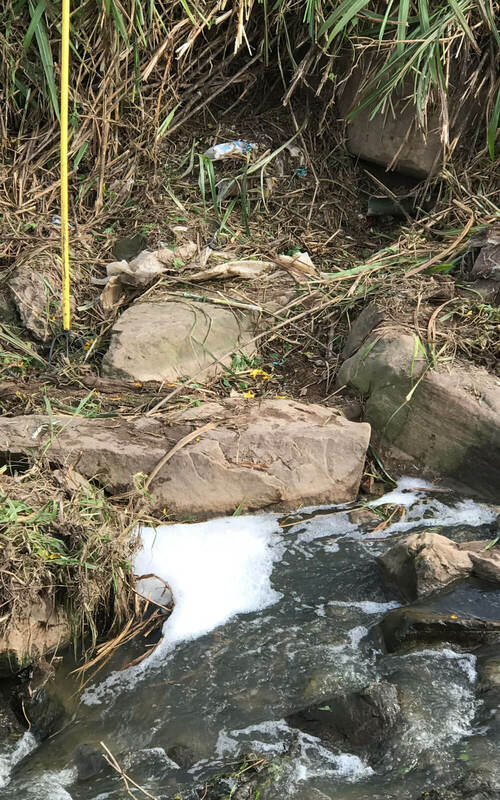 By formalising weekly river monitoring walks and doing questionnaires with local community members, we were able to pinpoint the most salient issues that contributed to the build-up of solid waste and effluent from sewage spillages which were consistently hampering efforts to clean up the river. These problems included inappropriate and inefficient waste disposal and waste removal systems which was evidenced particularly in inadequate facilities for disposing of solid waste such as nappies, for example. Phase 3, funded by the South African National Lottery Foundation, has picked up on this problem, instigating a pilot project that begins to address the situation and which will be evaluated when the phase is concluded. Applying these techniques of research also supported the training and development of the Eco-champ team, who learnt about how to carry out such surveys and about the benefits of having a deeper understanding of the problems faced by members of the community in which they were working. This work and associated understanding led to the setting up of workshops with local community members and community leaders. The workshops have been highly instrumental in accelerating the success of the team’s efforts to regenerate this section of the Aller River, significantly improving the community’s responsiveness to the project and their support of its aims. Another aim of the work we did in Phase 2 was to set up and facilitate a web-based communication between the Eco-champ team and a group of young people working with the Broads Authority in the United Kingdom. The Norfolk and Suffolk Broads is Britain’s largest protected wetland and third largest inland waterway, with the status of a national park. It’s also home to some of the rarest plants and animals in the UK. Currently, the Broads National Park is a unique mosaic of gentle landscape, lakes and rivers covering 303 square kilometres. It has 28 Sites of Special Scientific Interest, many National and Local Nature Reserves and despite comprising only 0.1% of the UK, the park is home to a quarter of the UK’s rarest species. The Broads Authority looks after this magical waterland with responsibility for conservation, maintaining the waterways, recreation, tourism and planning. Iconic mills and historic landmarks nestle among miles of waterways, fen, woodland and footpaths while idyllic towns and villages dot the wide landscapes. The broad, shallow lakes are man-made rather than natural. They began as pits dug for peat to provide fuel during medieval times and filled over the centuries to become the boating playground we see today. In response to major environmental degradation, pollution and eutrophication of this sensitive freshwater system in the post war decades, the Broads Authority was established in 1989. Specifically, with the purposes of conserving the natural environment, promoting understanding of the special qualities of the area and protecting the navigation of the waterways. Since then the area has seen significant environmental improvements. 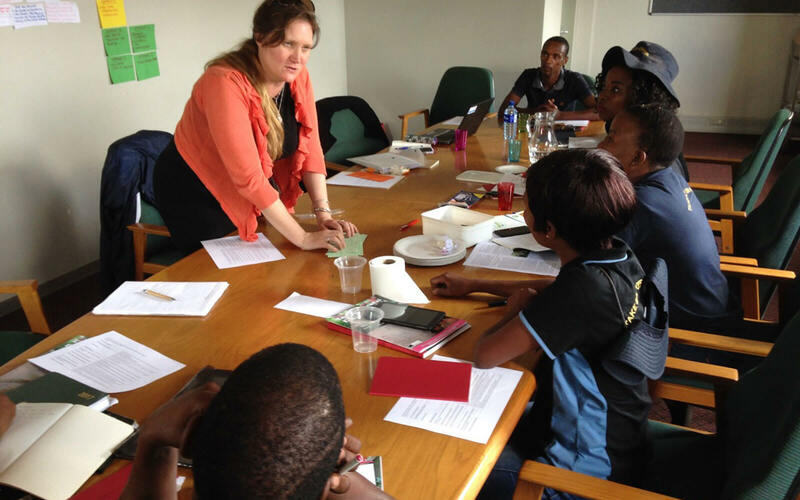 The interchange between the Broads Authority and the ARPP team involved a masterclass delivered by members of the team in South Africa to the young people and their facilitator in the UK and a return class delivered by the Broads Authority representative to the team in South Africa. Masterclasses focused on the ecology and cultural geography of the two settings, so that the young people had some background knowledge about the lifestyle of the people they were talking to. The masterclass was then followed by an interchange event which took the form of a web-based conference between the two groups, talking about the problems they faced in cleaning up the waterways in their respective settings. Post-event conversations with each group revealed that these discussions had been highly impactful, at least in the short term. For the SA-based team the event seemed to support an understanding that the problems they are addressing with waterway regeneration require long-term investment of time and resources. Communities need to be able to feel that what seem like intractable problems at present can actually be improved over a period of time, with the right focus, sustained efforts and sufficient initial resourcing. Positive experience of such initiatives from other countries can offer valuable exemplars for this process and have impacted on the Eco-Champ team’s resilience in the face of ongoing challenges with regards to solid waste pollution. For the UK-based team learning about how these problems emerge in the context of the developing world was edifying and generated reflections on the way in which unequal distribution of resources influences living and environmental conditions for people globally. It also generated reflections about how they might be able to influence these situations through their day-to-day choices and lifestyles and helped them to see their own local protected landscape (the Broads) into a global context. ARRP2 also enabled the continuation of the work that the Eco-champs began with local schools in Phase 1. In consultation with the schools, the Eco-champ team chose to focus on developing school vegetable gardens with the school-based eco-clubs. 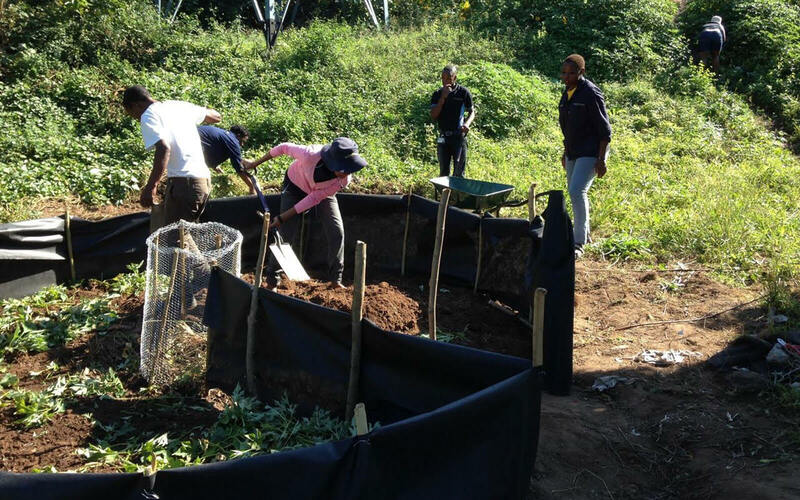 Some infrastructure support was provided in the form of rainwater harvesting tanks and gardening tools to help schools and eco-clubs to maintain these. These gardens have been variously successful, with some schools able to sustain them into ARPP Phase 3 whilst others have not been able to do so for different reasons. What has been remarkable, inspiring in fact, about the ARPP across all three of its phases has been the way in which it has brought together organisations (both governmental and civil society) and individuals to address this problem, and how this collaborative effort has influenced the resilience and engagement of the community. At the end of the project we took the opportunity to document the number of organisations and individuals with different roles that had influenced the ongoing efforts to clean the river. The number is in excess of 50, with different groups within the Take Back Our Rivers team giving priority to different influencers at different times during the project’s cycle. The finding (at the end of the second phase) then was that, if applied in a contextually sensitive and culturally appropriate manner, this sort of work produces improved dialogue across institutional boundaries (between local government employees and locally elected resident group leaders, for example), real educational gains (in terms of heightened awareness among community members, for example) and raises the threshold of hope and expectation in terms of what can be achieved at the local level, in the face of global climate breakdown and environmental degradation. 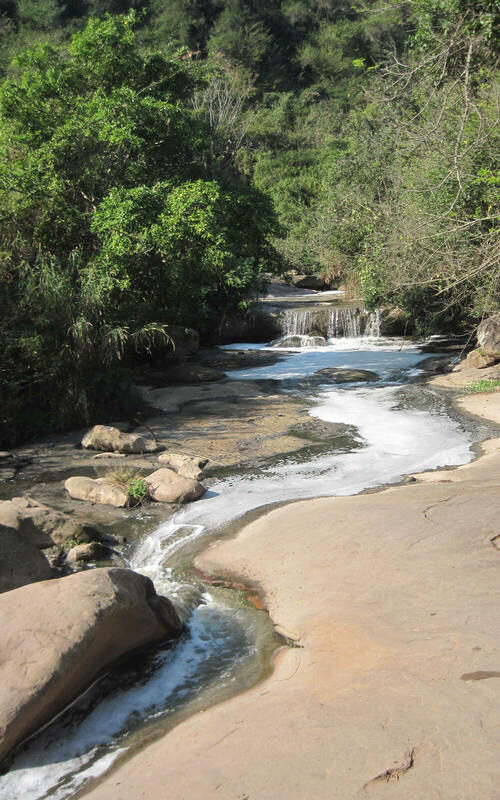 Acknowledgements and thanks to the ARPP and Take Back Our Rivers teams (Thozeka Letuka, Nick Swan, Noktula Mkize, Slindile Bengu, Slindile Sithole, Bukisani Msomi, Thembimkosi Gwala, and Thandeka Dube, Luci Coelho, Mark Liptrot, Hugh McGibbon, Margaret Burger, Richard Winn, Natalie Ellis and Paolo Candotti) without whose tireless efforts to keep this project going, none of this would have been possible. Editor’s Note: The Aller River Pilot Project was recently awarded the 2018 Mail And Guardian Greening the Future Award in the category: Community Conservation and Resilience. 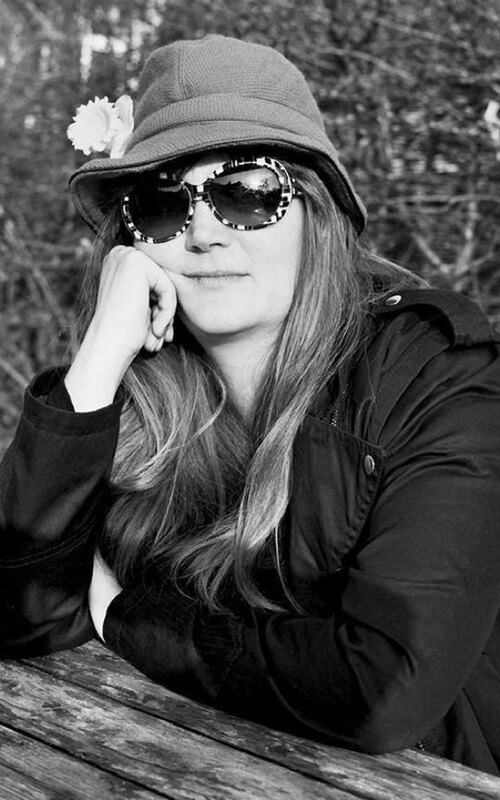 Elsa Lee is an educationalist with a longstanding interest in environmental issues and connections to place. She started her working life as a secondary school science teacher, teaching in the UK and Mexico. This experience continues to inspire and guide her academic work. She has done academic research seeking to understand how children perceive and articulate their connections to place and whether climate change features in this. Elsa now researches community-based waterway rehabilitation projects and she also works on understanding how art, artists and children’s connections to nature intersect. Elsa holds a Bye-Fellowship at Homerton College, Cambridge. 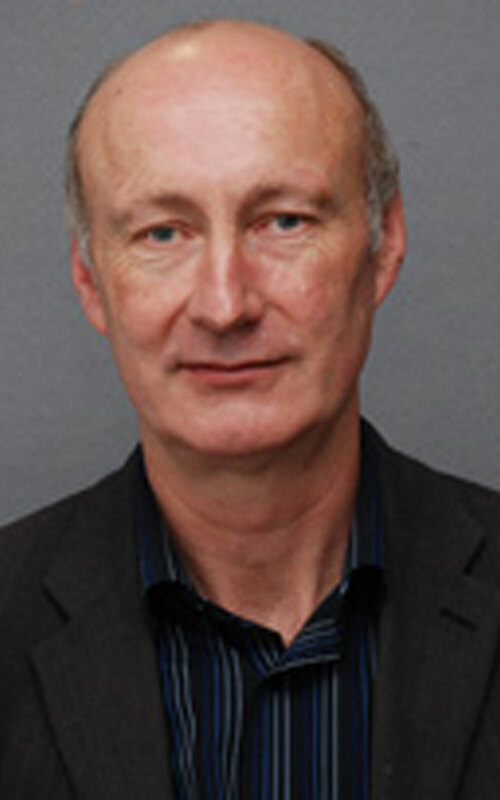 David Whitley has taught film, poetry and children’s literature at Cambridge University for over twenty years. He is particularly interested in the way the arts offer different forms of understanding and engagement with the natural world. His most recent book is The Idea of Nature in Disney Animation (2012). 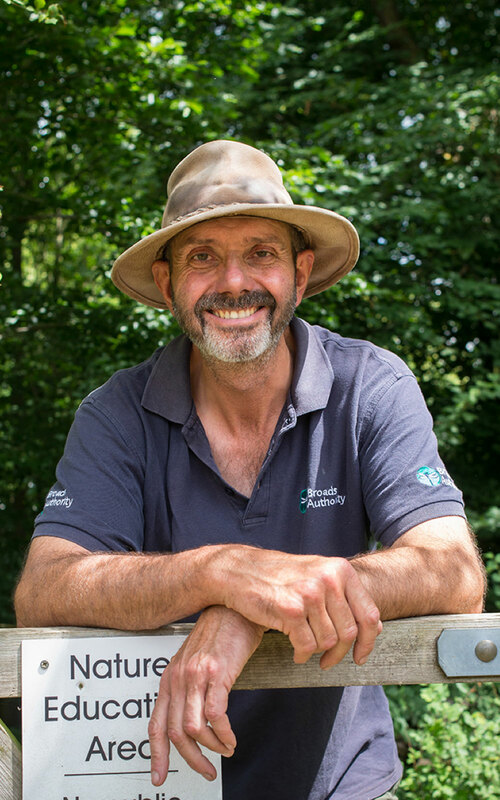 Interests: I have worked in the Broads National Park for 28 years as a nature reserve warden, ranger and education officer. My role has always involved creating practical outdoor learning opportunities for people of all ages, aiming to engage and connect people with the natural world. I am particularly interested in the role that direct inspirational environmental experiences have on long-term behavioural change for sustainability.